FIFTEEN FIFTY ON THE PARK takes its cues from the storied architecture of the Gold Coast and the tranquility of parkfront, lakefront living. 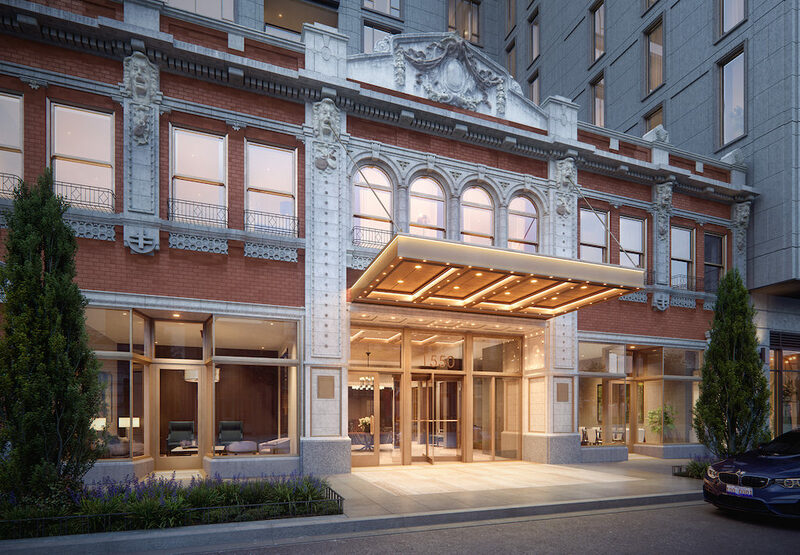 The restoration and reproduction of the Village Theater’s remarkable façade, with its white terra cotta, intricate ornamentation and red brick forms a distinctive, striking entrance. Rising above the façade and transforming the corner, a contemporary limestone tower makes a simple, elegant statement of luxury. Residents are greeted with the intimate warmth of the Lobby and welcomed by 24-hour front desk staff. With a fireplace, wood paneling, handsome detailing and intimate leisure areas, the Lounge is the perfect place for relaxation and entertainment. take advantage of the pristine privacy of the Club Room to host meetings and meals. with an invigorating workout in the spacious Fitness Center, complete with Peleton bike, state-of-the-art equipment and wifi to stream your favorite music.